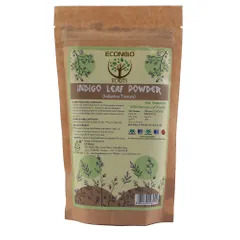 The premium quality Indigo powder by ECO & BIO ROOTS comes in a 100 gms packaging which is natural and hygienically packaged without the use of chemicals and any other artificial colors and agents. The powder is extracted from its plant Indigo which is also popularly known as neel or blue dye and chiefly used for the purpose of dyeing. Besides being a popular dye it is also used as dye mix for the hair where it can be added with the dye to enhance the color and its shine while making your hair feel soft and healthy. Its natural properties enhance the hair growth and make them strong from root deep. 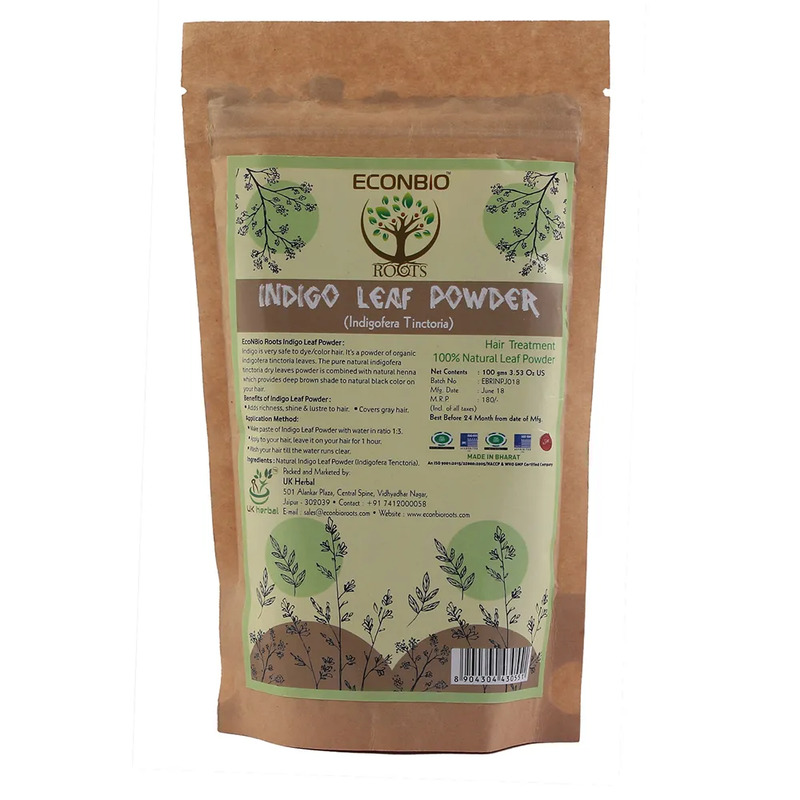 Make paste of Indigo Leaf powder with in ratio 1:3. apply to your hair, leave it on your hair for 1 hour. Wash your hair till the water runs clear.